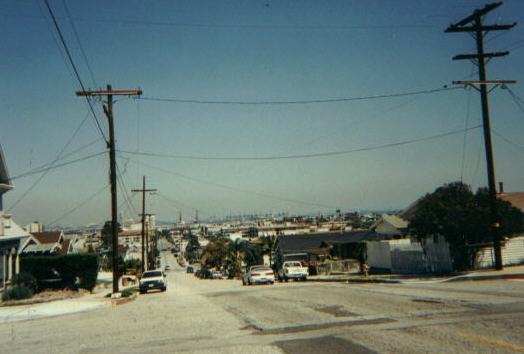 Actually part of the city of LA, just at the border to Long Beach, is this Mexicanstyle district situated. 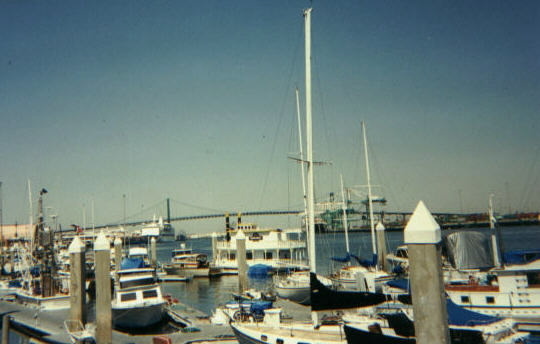 Los Angeles Harbor is situated in San Pedro. 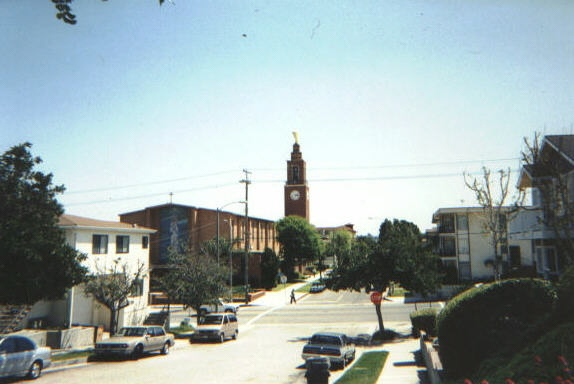 This image shows San Pedro´s mexican style buildings and the typical Californian telephone clues that are very rare in northern Europe. The bridge is Thomas Vincent Bridge, interresting to drive over. The town of San Pedro. 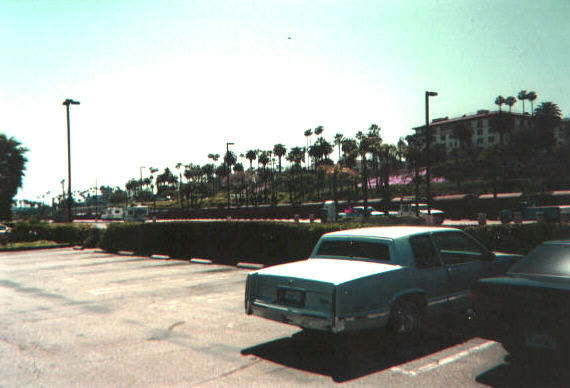 Harbor Boulevard at Los Angeles Harbor. © 2001 WTI. All rights reserved.